Hello everyone! I'm beyond excited to share the CHA 2014 sneak peeks with you today! This is just a little of what the Leaky Shed Studio has in store for your 2014! I'll start you off with the New Family Tree Script Font. These pieces are a perfect addition to add to the Swirl Tree to complete your Family Tree embellishment. Be sure to check back to see what our amazing design team creates with these beautiful chipboards and as always thanks for stopping by!! 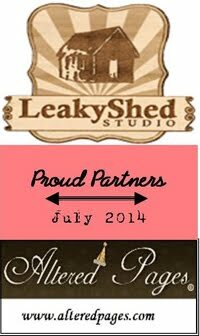 If you'd like to see more new releases by The Leaky Shed Studio stop by the website, there is sure to be the perfect piece for your project! These are all gorgeous!! LOVING the "LOVE" one!!!! Awesome new additions to the store!!! Wow! The corners are gorgeous, and the beautiful words... I want everything!